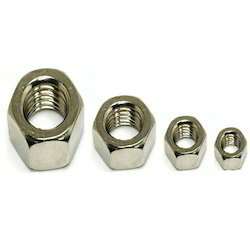 Our organization is one of the leading organizations that supply, trade and export a wide range of Metal Fastener to meet the needs of our clients. 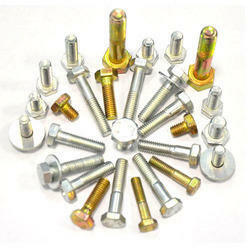 These fasteners are well equipped and ensure optimum performance. Our company is one of the well known companies that trade, supply and export an extensive range of Hex Bolt and Hex Screw. These products are strong and sturdy in state and ensure long lasting service life. All these products are dimensionally stable and offer high level of performance without any hindrance and errors. Astm/ Asme A 193 B 6, B 7/ B 7m, B 16// Astm/ Asme A 194 Gr. 2, 2hm, 2h, Gr 6, B 7, B 7m. 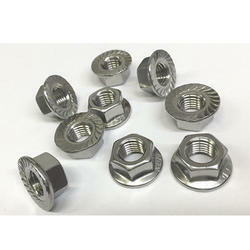 To meet the diverse requirements of our clients, we are engaged in trading, supplying and exporting a wide range of Stainless Steel 310 Nuts. These products are rigorously tested on various parameters and are authenticated as per the international standards. These products are sturdily built and ensure longer functional life. B 8 T( Ss 321 ), A 2, A 4 // Astm / Asme A 194 B 8 ( 304 ), B 8c ( Ss 347 ), B 8m ( Ss 316 ), B 8t ( Ss 321 ). Keeping in mind the diverse requirements of our clients, we are engaged in trading, supplying and exporting a wide range of Stainless Steel 310 Washer. All these products are dimensionally accurate and ensure long lasting service life. Our products are well known for their attributes like high tensile strength and reliable performance.